What Are The Benefits of a Palm-Coated Glove? 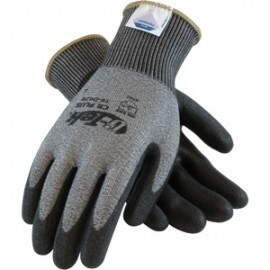 Breathability - Many coated gloves offer unbeatable breathability because of their design. 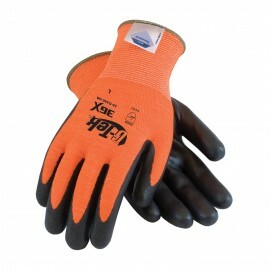 Unlike other many other options, some types of coated gloves offer maximum ventilation, making them ideal for those who work in sweltering environments or who have balmy hands. Flexibility - Many people require a flexible glove because their job calls for constant hand and finger usage. These models allow you to maintain dexterity without sacrificing safety. High Gripping Capabilities - Another core benefit of the coated glove is that it protects your hand while simultaneously increasing your natural gripping abilities. This can be especially useful when you’re handling cumbersome, slippery, or hot items. 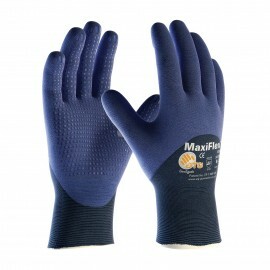 With the rubberized coating that’s added onto these gloves, you can exponentially improve your grip strength. 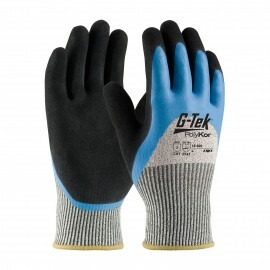 Sleek Design - Many people are drawn to the rugged look of these gloves. Our collection offers a lot to like, from a spectrum of colors to sharp, contrasting materials. 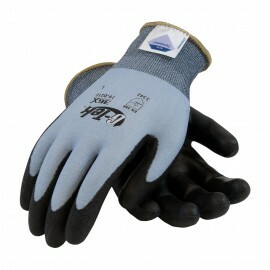 Many of the coated gloves we carry also come with designs and logos, further adding to their visual appeal. Are Coated Gloves Right For Me? 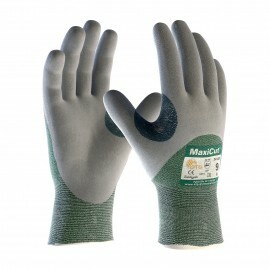 For many people, coated gloves offer an ideal hand protection solution. However, your particular needs should dictate whether or not this variety is right for you. When making this decision, you must first have an understanding of what coated gloves can offer; they provide superior grip, flexibility, and breathability for your hands. If, however, you require comprehensive hand protection in order to safely perform your daily duties, you may want to explore other options. For example, in order for palm-coated gloves to offer the flexibility and breathability that they do, the rear of the product needs to be kept free of the rubberized coating that’s found on the front. This sort of design may pose an issue for some applications. Disposable Gloves – This option may be more appropriate if you don’t want to deal with cleaning your gear or other upkeep. If you don’t want to bother with the hassle of maintenance, disposable gloves may offer you many of the same benefits that coated varieties do. 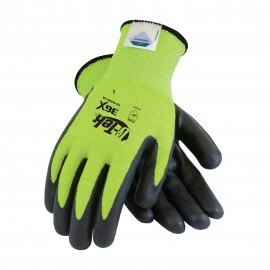 Heavy Duty Gloves – This variety is intended for intense activities and is resistant to tears and punctures. 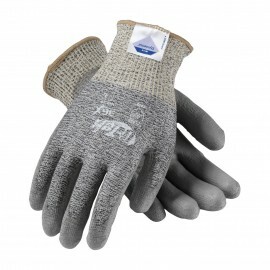 Browse our entire line of gloves to meet these particular needs. 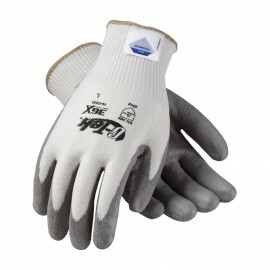 Fatigue-Reducing Gloves - For some people, hand protection is most useful to improve on-the-job performance. 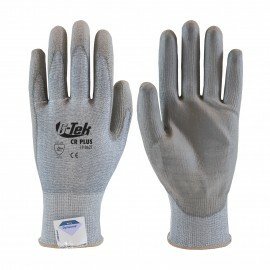 We carry a number of fatigue-reducing gloves that can help people who use vibration-causing tools for extended periods of time. 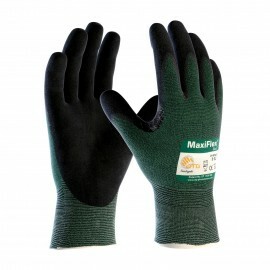 These gloves allow you to use vibration-causing tools and experience less arm and hand fatigue. Each one of these options offers distinct benefits and drawbacks. As an example, a fully coated option may allow you to better protect your entire hand, but a partially coated option will give you the added flexibility that a full coating may not have. 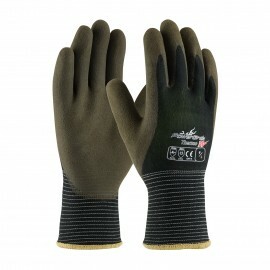 Palm-coated options take this even further by adding breathability on the rear of the glove. This type can give users unparalleled flexibility, hand dexterity, and value. 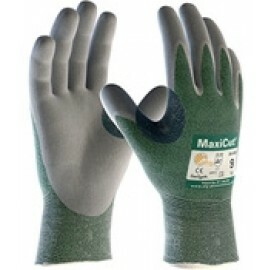 An excellent example of this option is the MaxiDry Ulta Light Weight Nitrile Coated Glove with palm coating. 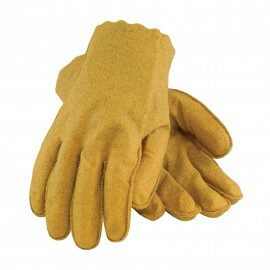 Why Should You Buy Your Gloves from Enviro Safety Products? We’re committed to having the best prices available for all our products. Not only do we continually keep our prices well below the competition, but we also offer a variety of discounts and deals to shoppers. When you shop at Enviro Safety Products, you’re certain to get a good deal whether you’re looking for gloves or protective footwear. Our goal is to always provide the best possible shopping experience to our customers. As part of that, we offer exceptionally quick shipping on all orders. By minimizing the amount of time orders spend being handled and packaged, we’re able to get our customers the products they need as fast as possible. 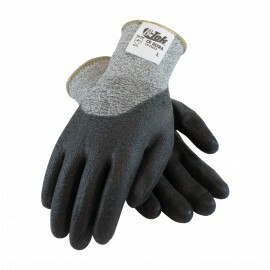 Our selection of coated gloves includes a wide assortment of options for you to choose from. You’ll be able to find your exact size (from the smallest to the largest hands) and your favorite color – all for the best price around. We also offer a plethora of styles and brands for you to choose from. You won’t be forced to pick from a limited selection when you shop with us. 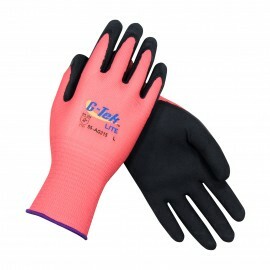 Instead, you’ll have the ability to browse through an extensive line of coated gloves so that you can find a pair that meets all of your requirements.